Este livro já tem uma versão muito boa em português, mas é sempre bom fazer comparações quando se trata de linguagem especializada. The definitive guide to psychoanalytic vocabulary. 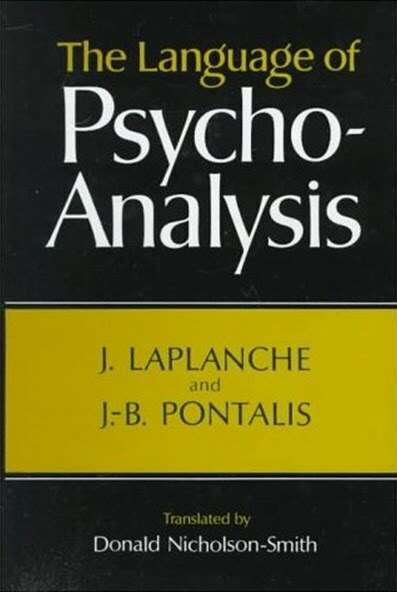 An indispensible reference book for anyone interested in psychoanalysis. Sigmund Freud evolved his theories throughout his lifetime. This entailed many revisions and changes which he himself never tried to standardize rigidly into a definitive conceptual system. The need for some sort of a reliable guide which would spell out both the pattern of the evolution of Freud's thinking, as well as establish its inherent logic, was felt for a long time by both scholars and students of psychoanalysis. Drs. 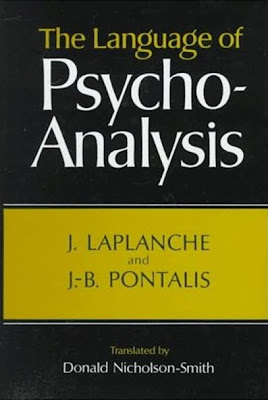 Laplanche and Pontalis of the Association Psychoanalytique de France succeeded admirably in providing a dictionary of Freud's concepts which is more than a compilation of mere definitions. After many years of creative and industrious research, they were able to give an authentic account of the evolution of each concept with pertinent supporting texts from Freud's own writing (in the Standard Edition translation), and thus have endowed us with an instrument for work and research which is characterized by its thoroughness, exactitude and lack of prejudice towards dogma.